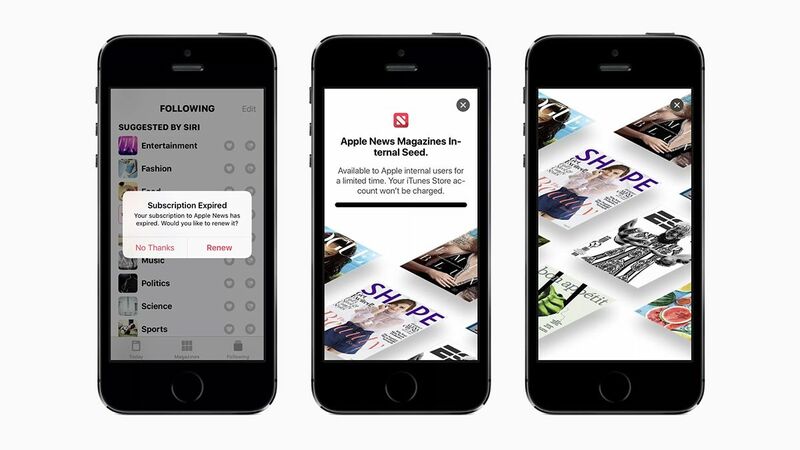 The code for the latest iOS 12.2 beta is the gift that keeps on giving: after being found to contain hints about new iPads and iPod Touches, now the software has revealed images for Apple’s upcoming magazine subscription service – something we’ve been hearing rumors about since the company acquired Netflix-for-magazines service Texture last year. A number of screenshots were dug out of the iOS 12.2 beta code by 9to5Mac, and show what look like landing pages for the new service. Apparently it’s only open to “Apple internal users” for now, but a wider roll out could be close. The name of the service looks likely to be Apple News Magazines, and as you would expect it’s going to connect directly to your iTunes Store account, once it goes live. Numerous mentions of a “bundle subscription” suggest that magazines will be just part of a bigger content offering, which might include Apple’s long-rumored TV show platform. Based on what we’ve already heard from unofficial sources, Apple News Magazines will include access to top-tier magazines on a variety of topics, as well as respected newspapers including the New York Times, the Washington Post, and the Wall Street Journal. Pay one flat monthly fee, and get access to everything. At this stage it’s likely that Apple’s still ironing out the details. If the service doesn’t appear publicly before then, it should be ready by the time that iOS 13 is announced – and that should be at the Apple WWDC conference for developers around the start of June. With the iPhone sales juggernaut finally showing signs of slowing down, Apple needs other ways to make money, and subscription services for magazines, television shows, music and more might be the answer. With these images appearing in the latest iOS code, it seems a launch might be happening sooner rather than later.